Telstra, Vodafone and Telecom NZ team up. The three largest telcos in Australia and New Zealand, Vodafone, Telstra and Telecom NZ, will proceed with a cable construction project between the two countries, with a tender issued for the build today. 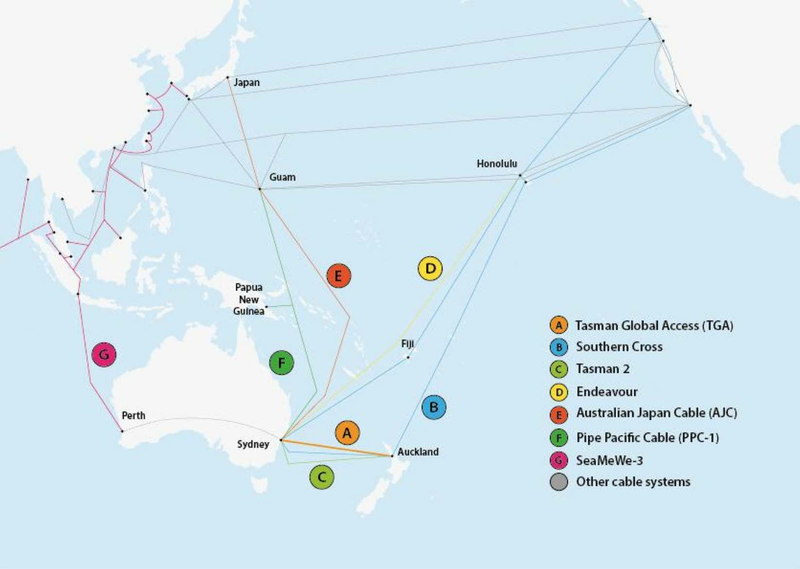 First mooted in February this year, the Tasman Global Access cable will span around 2,300 kilometres between New Zealand and Australia and be lit up with 100 gigabit technology. It will be owned in equal shares by the three companies. Landing sites in both countries are being evaluated currently, but are expected to be nearby Auckland and Sydney, according to the telcos. After a tenderer has been picked over the next few months, contractual negotiations will take place and construction on the TGA Cable will start in 2014, with the project concluding next year. According to the three telcos, traffic between Australia and New Zealand now accounts for 40 per cent of the total, compared to just ten per cent a decade ago. This, they said, underlined the importance of the new link, along with better route diversity and access to Asian markets via Australia.